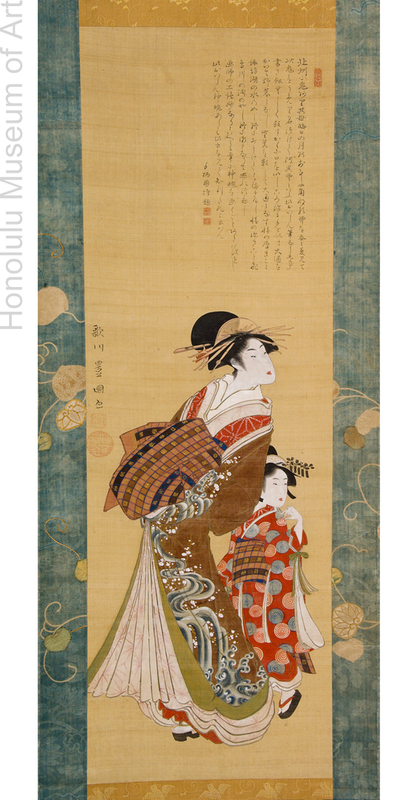 The signature on this work identifies its creator as Utagawa Toyokuni. While it remains difficult to confirm its attribution based on stylistic comparison alone (owing to the relative scarcity of surviving examples of his painting), it was not at all unusual for an artist like Toyokuni to create painted versions of compositions similar to those that survive today only as woodblock prints. The subject matter of this work, a courtesan with her attendant, is an example of the sub-genre bijinga (“pictures of beauties”), which enjoyed considerable popularity from the 18th through the early 20th centuries. 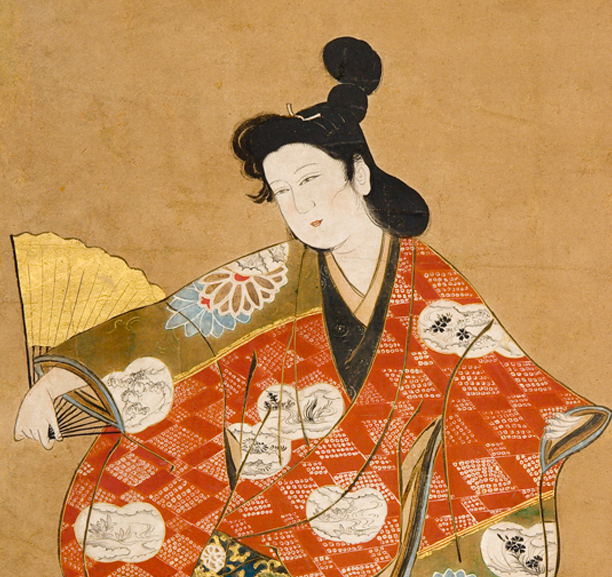 The woman’s colorful kimono, tied in the front with an obi sash, and her meticulously arranged hairstyle, decorated with long golden pins, identifies her as a courtesan, presumably one residing in the Yoshiwara brothel district on the outskirts of Edo city. 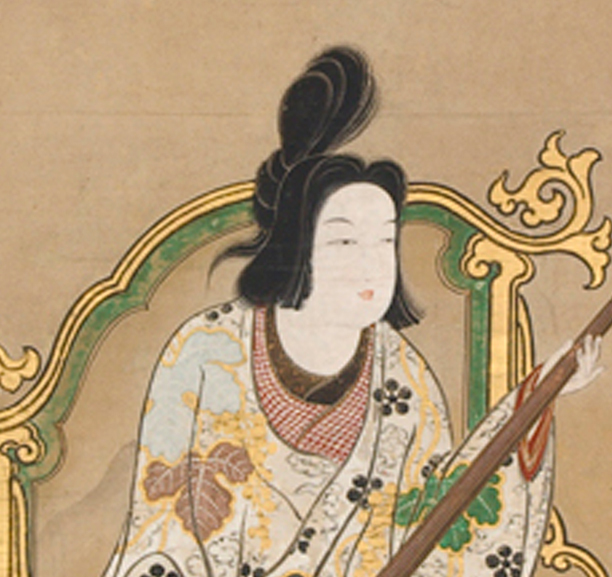 The presence of a young kamuro attendant beside her suggests that this courtesan has achieved relatively high status within the Yoshiwara. 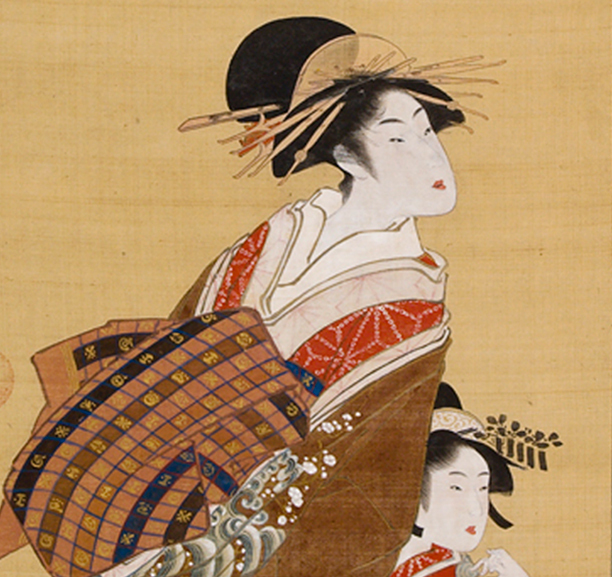 Stylistically, this painting bears many similarities to the work of Kitagawa Utamaro (1753–1806), who depicted beauties with elongated, willowy bodies. In this painting, the artist focuses the viewer’s attention upon the brightly colored, intricately patterned garments, her hairstyle and her makeup, but not upon distinguishing physical features. 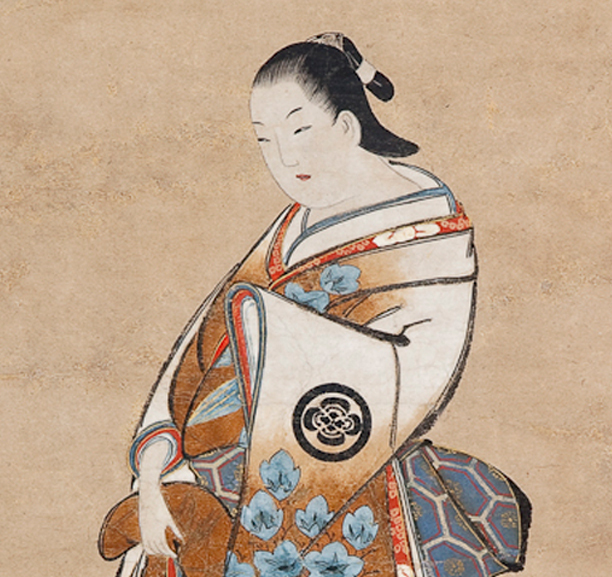 It is a portrait of a courtesan as a social type rather than a description of an identifiable individual.